Afonso is one of 18 teachers in the nation’s Maputo Province trained to deliver IYF’s Passport to Success® (PTS) life skills curriculum. He and his colleagues received their PTS training through Equipando Jovens para o Futuro (EJF), an initiative of IYF and Mozal that’s working to equip students at high schools and technical institutes with life and work-readiness skills. The goal? To prepare them for success in the labor market, either salaried or through entrepreneurship. PTS utilizes student-centered, experiential methods carefully designed to accommodate diverse learning styles. As PTS trainers, Afonso and his colleagues note the transformative impact the program has had on their teaching styles across their respective disciplines. 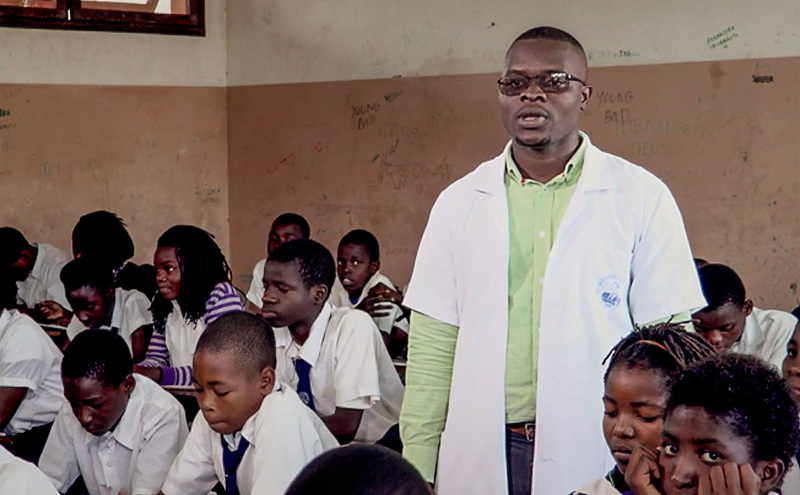 “I was like any other teacher, but after PTS I acknowledged that I had to change the way I taught,” says Afonso, adding that many Mozambican teachers resort to rote methods of instruction, directly dictating information to the students. PTS encourages the use of structured activities and discussions to allow students to explore pertinent issues and identify solutions. During the 2015 school year, Afonso and his colleagues trained 294 students like Marta and Maninguisse in critical life skills such as self-confidence, responsibility, career planning, respect for authority, and time management—all skills in demand by area employers. In addition to its emphasis on life skills training, EJF has built the capacity of teachers to deliver career guidance services and improved entrepreneurship training to students—ensuring the program’s impact is felt for many years to come.